The city of Havana is ideal for exploring with a rental car and on foot. Havana is a place of longing for many holidaymakers. The lively capital city of Cuba is located in the northwest of the Caribbean island directly on the Atlantic Ocean. It is very tourist-friendly, as visitors will not only find a wide range of sights and cultural attractions, but also a hotel for all tastes. Visitors should not only taste rum and cigars, because the local cuisine and culture have much more to offer. The rental car is an excellent way to explore the sunny coastal town and its picturesque surroundings. It is best to compare all offers on our portal before your departure. So you can find a car that suits your expectations. It doesn't matter if you want to take a cabriolet along the coast, explore the surroundings by SUV or visit the big city center of Havana by small car: Our offers have something to suit every taste and every driving preference. The sooner you rent a rental car, the more discount is possible. Your travel plans change after you have booked a car? No problem, because you can cancel your booking free of charge up to 24 hours before you rent the car. Our service team will be happy to answer your questions. The largest airport in Cuba is the Aeropuerto Internacional José Martí. It is located about 20 kilometers from Havana. In order to reach the center of the city cheaply and without unnecessary waiting time, you can also rent a car at Havana airport and drive comfortably to your hotel in Havana. So you are always flexible, especially if you have a lot of luggage with you. If you prefer to use public transport at the airport, you can alternatively rent your rental car directly from the car hire company in Havana and pick it up. There are many different car rental offices in the city, so you can choose one near the hotel, for example. At the end of your stay you can also return the car to Havana or at the airport. If you decide on different places for pick-up and drop-off, you can take advantage of offers for one-way rentals. For example, you can land in Havana and take off from Varadero to make a good road trip without having to return to the starting point. 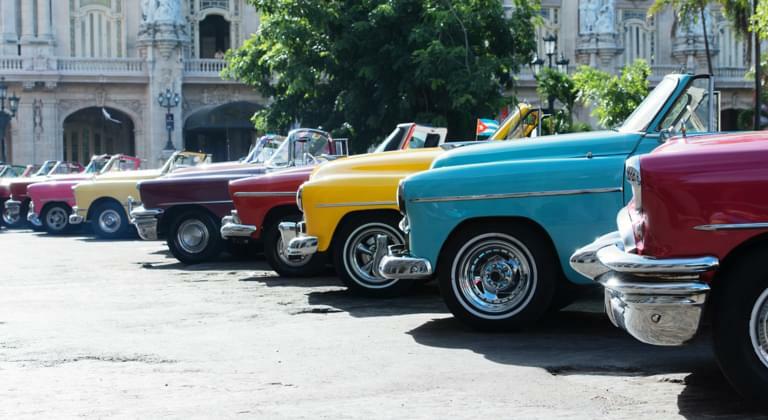 Be sure to visit La Habana Vieja, the old town of Havana, with your rental car. It has been a UNESCO World Heritage Site since 1982. The historical centre of the city is characterised by colourful buildings in baroque and neoclassical style. Particularly impressive is the Cathedral of San Cristóbal in Plaza de la Catedral. Get in the car and drive to the Castillo de la Real Fuerza. The former fortress of the royal Spanish army lies between the port and the Plaza de Armas. It is the oldest square in the city and one of the most important tourist centres of Havana. The Palacio de los Capitanes Generales is also located here. The baroque colonial building houses the town museum of Havana. Visitors come here not only for the sights that surround the armoury, but also for the markets and military ceremonies that take place here regularly in the open air. Continuing through the old town, you will reach Capitolio, a large former government building. It looks a lot like the US capital in Washington D. C. The San Salvador de la Punta fortress and the Teatro García Lorca theatre are also worth a visit. After an exciting exploration tour through the old town of Havana, you drive back to your hotel in a comfortable and inexpensive way with your rental car. Rent a convertible in Havana to enjoy the warm tropical weather during your trip. For example, you can visit the city's three major ports by car. If you want to sunbathe or swim, you can go by car to the extensive beaches such as Playas del Este or Playa de Guanabo. Here fine sand, clear water and pleasant weather await bathers. In the trunk of your rental car you have plenty of space for bath towels, provisions, sun hats and other useful items. In the evening you should not return to your hotel too early. The view of the sunset over the sea is a wonderful spectacle. On the beach, at the harbour or on the promenade you can enjoy an excellent view. If you would like to explore the mountainous landscape surrounding Havana, you can also rent a car at reasonable rates. The Parque Lenin is also worth a visit. The large amusement park is located about 20 kilometers outside the city center of Havana and offers roller coasters, swimming pools, an open-air cinema, restaurants and much more. With the rental car you can commute cheaply and comfortably between your hotel and Leninpark. What should I know when driving a rental car in Havana? Traffic in Cuba is usually perceived as chaotic. Take some time to get used to the driving style of the locals. Also, watch out for pedestrians, as they like to walk on the streets in Cuba. In Havana and all other villages of the Caribbean island you are allowed to drive a maximum speed of 40 km/h. Outside the city, a speed limit of 100 km/h applies. The minimum age for drivers in Cuba is 21 years. Observe the traffic rules, as the police pay close attention to violations and collect fines immediately. If you want to rent a car in Havana, you need insurance. This is the only way to protect you in case of damage. Your liability insurance should cover at least one million euros in damages. You also need insurance for the rental car. This insurance is compulsory in Cuba and will be paid for locally at the car rental. We recommend that you choose a comprehensive insurance policy without excess. Do I have to pay a deposit for the rental car? There's a deposit for every car you rent. Since the car hire company makes the deposit for his safety, there are almost no serious offers for rental cars without a deposit. Compare all our offers and decide whether you want to rent a car with cash deposit. Alternatively, the car hire company charges your credit card with the exact amount of the deposit. Our database contains large and small companies. Read the reviews of our customers to find a suitable supplier with the desired conditions. One-way rentals allow you to rent and hand in your car at different locations. For example, you can drive from Havana to Matanzas. The town is located about 100 kilometres to the east and offers beautiful beaches, various museums and an interesting stalactite cave. If you don't want to return to Havana and depart from Varadero airport in Matanzas, you can take advantage of one-way rentals. Our price comparison shows you whether there are any fees for one-way rentals in Cuba for your desired stay. Here you can choose offers that are convenient for you. If you have any questions about one-way rentals, our service team will be happy to help you at any time. If you are not travelling alone, you can choose one or more additional drivers. They are also allowed to drive the rental car during your stay. The number and names of the additional drivers must be specified at the car rental. This is the only way for an additional driver to control the rental car. 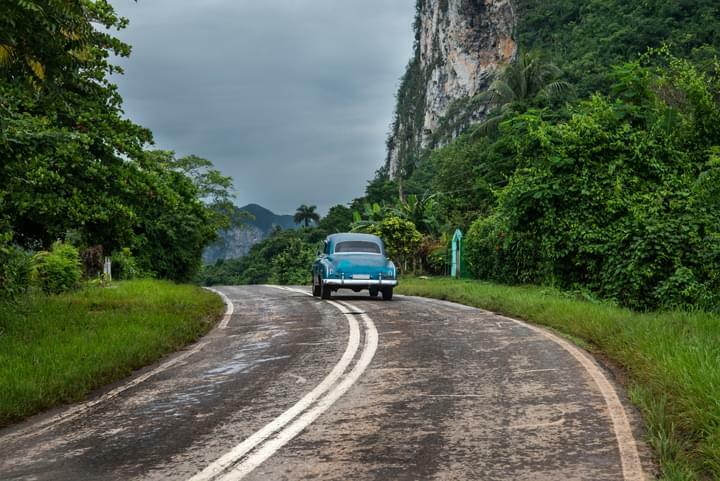 This can be pleasant to take turns driving on your road trip around Cuba. Otherwise the insurance expires. How exactly the car rental service handles an additional driver depends on the company and is not regulated in general. Sometimes there are offers where there are no additional costs for an additional driver. Some car hire companies charge a daily fee per additional driver.